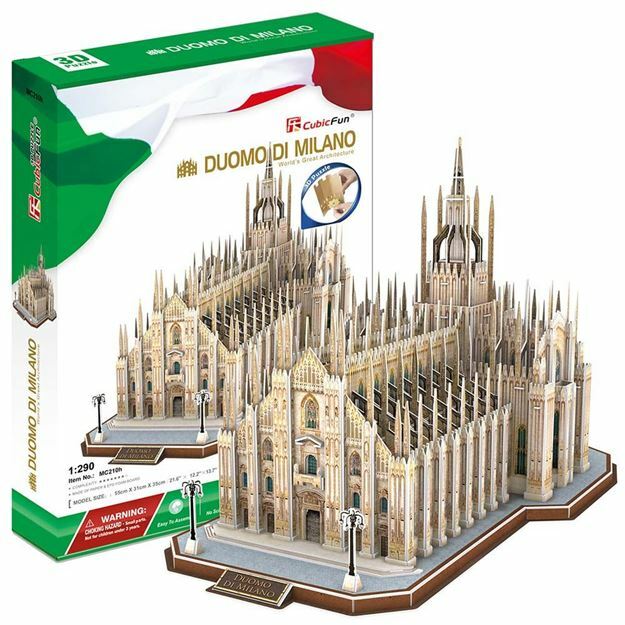 The Duomo di Milano is one of the world's most magnificent gothic cathedrals locate in Piazza del Duomo in the centre of the city. The Milan catherdral in Italy is over 600 years old and is the 5th largest Christian church in the world. This 3D puzzle is made of paper and expandable polystyreme foam board, it is easy to assemble without the use of any tools or glue. No of Pieces: 251. Model size: 55cm x 31cm x 35cm. Age 8+ years.